We all had such a great Christmas and New Years! We packed up the car, loaded up Hailey's supplies, grabbed her dogs and headed out on a 20 hour voyage to spend the holiday in Washington (State) Once we arrived it was NON stop and time flew right by! LOTS of baking! Everything was SO yummy! Josh took us down to Portland and we saw tons of things I haven't seen before in all the times we've been there. We stopped at the mall and this was the 1st time that Hailey wanted to see Santa. So we grabbed a quick photo before she changed her mind! On Christmas Eve we took Hailey to church and she was able to sit with the other Children on the stage. She loved singing the songs and the candlelight. Hailey didn't know any of the words but you would have never known it. She sang out loud and we all loved it. After Church we went to Granny's house for pictures, gifts, and treats! Everyone takes turns and gets a family photo. Hailey is getting so tall! The next day was Christmas morning and Hailey was up BRIGHT and early! 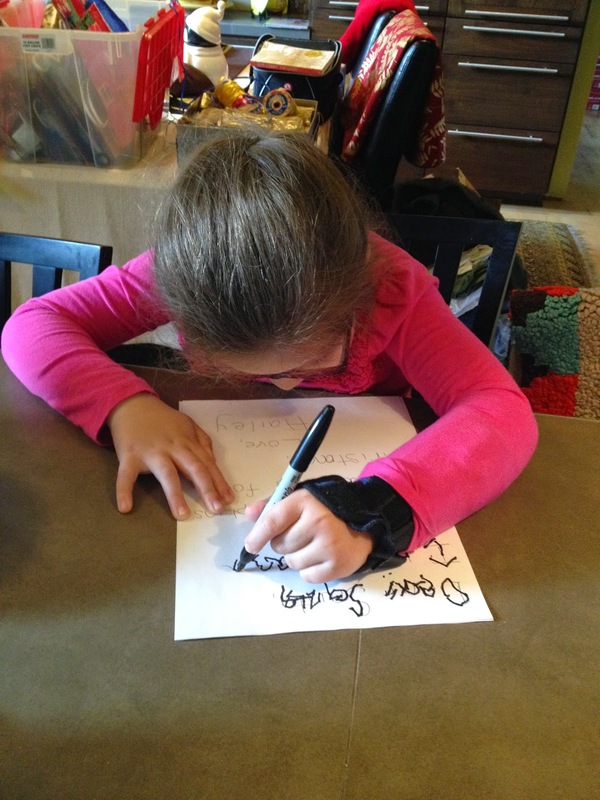 She received wonderful gifts from Santa, friends, family, and our readers! Thank you everyone! Just in case you were curious...thanks to Santa and a few Hugs for Hailey supporters there were MANY Shopkins under the tree with Hailey's name on them!!! Even a few Season 2 which we still can not find in Las Vegas! These new friends kept Hailey busy for HOURS! She LOVES Shopkins! We took a night off and piled up in the car to see some of the most decorated houses in Vancouver. Every house we stopped at had just a TON of lights and music! Hailey loved it. There was even a house that accepted donations for Make a Wish of Oregon. They raised enough money to fully grant a wish for a child! Amazing! One of Hailey's Christmas gifts from Granny was a trip to Build a Bear, where Hailey built a Pony of course! Hailey showed Granny how it was done and was one very happy little girl! Granny sure does know the way to Hailey's heart! After the New Year it was time to pack on up and head on back. Another 20 hours in the car. We did split it up and we took plenty of breaks. I imagine it really did take even longer then 20 hours! Thank you to everyone who sent Hailey a card or a gift. We really appreciate everyone who reads our posts! 2014 for Hailey was a great year. We had a few bumps in the road but overall it was great. So far 2015 is getting off to a bit of a rough start. More on that is coming soon!